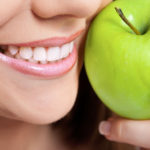 Home » Blog » general dental » Top 7 Dental Health No No’s! Top 7 Dental Health No No’s! When it comes to oral hygiene and dental health practices, there are the usual suspects of dental care that most people have at least heard about. These include brushing your teeth at least twice per day, flossing between teeth, and making sure that you keep up routine dental visits at least twice per year. But there are also many dental hygiene practices that actually can damage your teeth or compromise your dental health. Many people don’t know about these, and unknowingly do themselves harm. Let’s take a closer look at some of the most common dental health mistakes. While it is excellent to ensure brushing your teeth twice a day, the way you rinse afterwards may actually have more of an effect on your oral health than you might imagine. If you brush with fluoridated toothpaste, excessive rinsing can actually rinse away the fluoridation, and all of the tooth decay protections that comes with it. When brushing, be sure to rinse well, but don’t rinse excessively. Though it may be tempting to employ use of your teeth when you can’t open a tight plastic bag or when you can’t seem to get the bottle top off of a fizzy drink, using your teeth as a makeshift toolbox can have more consequences than you might think. Though trouble won’t find you every time, when you least expect it you might experience cracks, chips, and even full on teeth breaks. Take care to keep your teeth safe by not using them as tools. While eating a delicious meal, the last thing that you want to think about is how your meal is going to affect your teeth, but in this case an ounce of prevention can go a long way. Dark colored beverages like coffees, teas and red wines, can leave subtle stains on your tooth enamel that can really add up over time. Even healthy food items like blackberries and blueberries, or balsamic vinegar on salads can be culprits. If you do choose to eat these foods, be sure to conduct a quick water rinse within thirty minutes of eating. If necessary, you may also choose to switch to a stain removing toothpaste. Let’s face it. Many of us brush our teeth in a hurry and most of us forget about cleaning our tongue altogether. The tongue is actually a place of accumulation for many food particles and many types of bacteria. Utilizing a toothbrush, a dedicated tongue scraper or even gentle use of a utensil (like a spoon) can go a long way in keeping your mouth fresh, clean, and healthy. Keep these excellent dental tips in mind as you perform your oral hygiene routine, and you’ll be ahead of the curve in keeping your teeth clean and healthy! ← What To Do With a Chipped Tooth!